As car owners’ hunt for competitive deals, Servicing Stop, the number one on line car servicing company in UK, witnesses increases in bookings. Dragons’ Den entrepreneurs Oliver and Toby Richmond founded Servicing Stop to provide convenient and cost effective car service experience to UK customers. With Servicing Stop, car servicing can fit around people’s busy lifestyles. 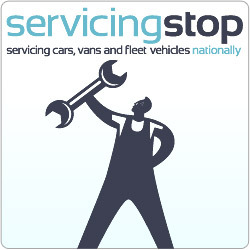 Servicing Stop provides free collection and delivery of the vehicle for every service. Before the Block Exemption law which came about in 2003, motorists were forced to pay inflated main dealer prices for car servicing. Now motorists have the choice of booking with one of Servicing Stop’s authorised 1000 + garages all over the UK. Servicing Stop garages always utilise industry standard and compliant machinery for all of the car services. Servicing Stop makes sure your car’s warranties protected, with the manufacturer’s service schedule being followed. The company expects every customer to be completely satisfied with their service, with warm and friendly staff always available to help.